When you talk about healthy food, what flashes through your mind? Let me guess – salad! Ideally, salads have a lot of fresh greens. But, how many of us diligently consume these superfoods regularly? Very few. So, to all of you who dislike greens in your salad, let me introduce the new guy in town. Meet Radicchio – straight from the fields of Veneto, Italy. This bright, colorful, cabbage look-alike is a natural reservoir of vitamins K and C. It adds a crunchy and bitter touch to your boring and bland green salad. In addition to its beautiful color, radicchio has tons of other benefits, which will make you hunt for it. Want to know them? Happy reading, then! What Are The Benefits Of Eating Radicchio? Radicchio is native to Italy and is a fairly woody perennial member of the Asteraceae family and the Cichorium genus. Radicchio has compact wine-red leaves with prominent white veins, about the size of romaine lettuce. Different cultivars of radicchio are generally grown by the name of Veneto provincial cities. Chioggia has small, beet-red, bitter leaves. Treviso features long, conical, compactly arranged, less pungent leaves. Radicchio variegate di Castelfranco is a hybrid between radicchio and endive (Cichorium endiva). Castelfranco has loose, mild-flavored leaves. Verona is another non-heading type and has red, open leaves with prominent white veins as in cabbage. However, radicchio rose to fame because of its biochemical composition and, of course, the color. The pigments that give radicchio its color are also responsible for its antioxidative capacity. So, what does radicchio do to your body? And how did it climb up the ladder to become the new superfood among health lovers across the globe? 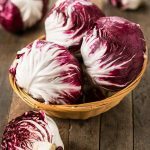 Radicchio has compounds such as lactucopicrin, lactucin, and lactuerol that give it a bitter taste, along with potential analgesic and sedative properties These compounds may also exhibit pain-killing properties (1). The dietary fiber present in radicchio, specifically in the form of the non-digestible carbohydrate “inulin,” helps to blunt the release of carbohydrates into the blood, thereby promoting healthy blood sugar levels. It increases insulin sensitivity in people with diabetes. Radicchio leaf powder has inulin, caffeic acid derivatives, and chicoric acid, which exhibit potent antidiabetic properties by increasing glucose uptake by muscle cells. This stimulates the pancreatic cells to secrete more insulin (1). Radicchio helps promote weight loss and healthy digestion through its fiber (mainly Inulin) content. Basing your diet around low-calorie, fiber-rich foods like radicchio promotes increased satiety. This helps individuals stay full and eat less during the day. 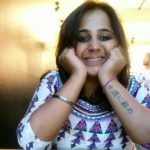 The result – natural weight loss! Ketogenic Mediterranean diet is an example. It is ironic, but such diets conserve the muscle mass, prevent weakness and malnutrition, and yet cause weight loss (2). Radicchio-like vegetables also show gastroprotective effects by healing ulcers and indigestion. Because of the indigestible fiber in Radicchio, it may help to improve bowel function thereby decreasing bloating and constipation. Hyperlipidemia (increased blood triglycerides and cholesterol) is frequently associated with liver and metabolic diseases. 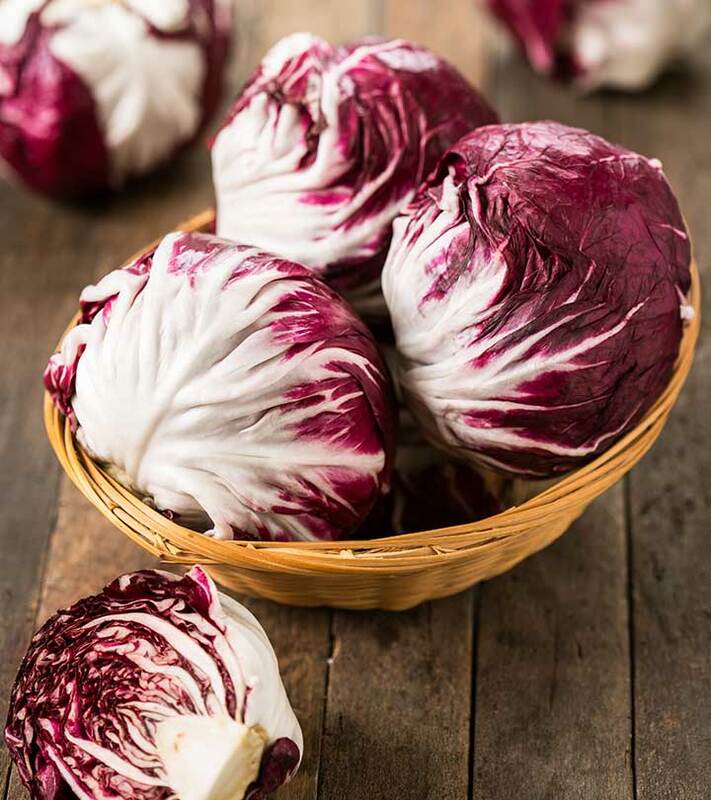 Because radicchio is a source of dietary fiber and antioxidants such as anthocyanins, and flavones, it promotes healthy cholesterol levels and liver health. Radicchio is rich in antioxidants that protect the heart against chronic disease. As mentioned, Radicchio promotes healthy cholesterol levels in the body. Hyperlipidemia is risk factor for heart disease, so adding in a heart-protective vegetable like Radicchio may help keep hypertension, atherosclerosis, and heart diseases at bay. Considering the rich antioxidant content in radicchio, including lutein, cyanidin, luteolin, and vitamin E, it is not surprising that the leaves help fight free radical damage, which ultimately protect against various types of cancer. Radicchio is also an excellent source of vitamin K, a vitamin that offers protection against cancers of the prostate and stomach. Radicchio offer a wide range of nutrients that replenish your skin, eyes, and nails. Many of these nutrients, such as B-Vitamins, are also essential for many vital cellular processes, such as energy conversion. 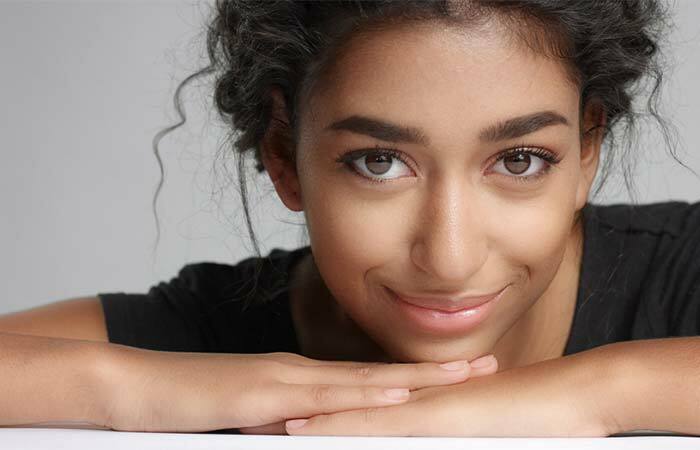 The high concentration of antioxidants helps fight free radical damage, which in turn fights aging that shows up in your complexion. Regularly consuming high-antioxidant veggies such as radicchio support a healthy, glowing complexion that keep wrinkles at bay. The extracts of the leaf and root increase the production of various components of the immune system. They enhance phagocytic activity, antibody production, and hypersensitivity, which are markers of immunity (1). This is also possible because of the vitamin C in radicchio, which is an antioxidant that promotes wound healing and detoxification. In addition to vitamins C and K, radicchio has plenty of other nutrients and micronutrients. It is because of its nutritional profile and phytochemical composition that radicchio has emerged as a superfood. So, let’s take a look at the numbers! Coming to the phytochemical composition, radicchio contains anthocyanins, which are pigments that give it its rich wine-red color. These pigments are also responsible for its antioxidant activity. Additionally, radicchio contains phytochemicals such as lutein, cyanidin, delphinidin, luteolin, hydroxybenzoic acid and quercetin in fair amounts. Imagine what a burst of nutrients you’d get if you add radicchio to your salad DAILY! But is salad the only way to eat it? Certainly not! 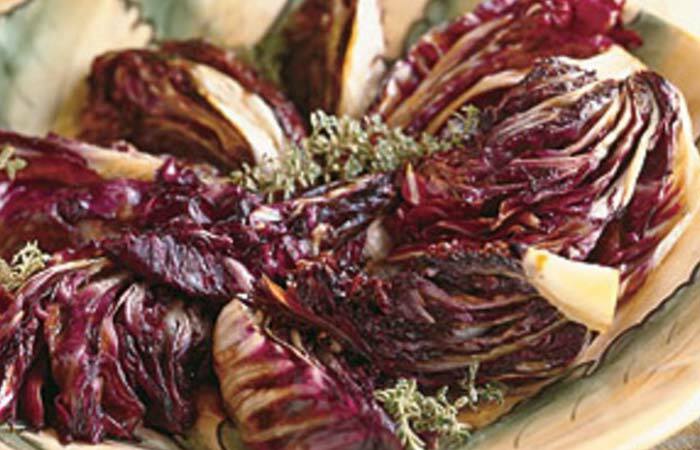 I’ve collected some healthy and delicious recipes that use radicchio. Go ahead and try them out. Rinse the radicchio wedges in cold water. Shake the excess water off gently (do not dry completely). Place the wedges in a large bowl. Drizzle with olive oil and sprinkle with thyme, salt, and pepper. Toss to coat. Arrange the radicchio wedges with the cut sides up on a rimmed baking sheet. Roast until they wilt (for 12 minutes). Turn over and roast until they are tender (for 8 minutes). Arrange them on a platter, drizzle with balsamic vinegar, and serve fresh. Note: Radicchio also tastes good when grilled on a barbecue or a stovetop grill pan. Oil the grill or grill pan and cook until the radicchio is wilted and slightly charred, occasionally turning for about 5 minutes. Cut the head of a radicchio into four wedges (leave the cores intact – they’ll help hold the wedges together). Wash them thoroughly and set them aside to dry. In a small bowl, whisk together the vinegar, garlic, salt, pepper, and three tablespoons of oil. Set it aside. Heat the remaining oil in a large skillet over medium heat. Add the radicchio in a single layer and cook for 3 minutes. Turn the radicchio, add the vinaigrette mix and oregano, and cook for 3 minutes until it is tender and slightly browned. Serve warm or at room temperature along with some gooey mashed potatoes and a portion of undressed crunchy salad. Nothing can beat those subtle flavors and bold textures! I was so lost in the bitter-sweet, crunchy, spicy, and undefined flavors that burst in my mouth when I ate the radicchio cooked this way. If you are like me – a plain green salad hater – these recipes are your savior! You will get all the goodness of radicchio, along with great taste. And if you still can’t bring yourself to eat radicchio, you can try substituting it with red cabbage for the colorful element and texture. You can also use endives, arugula, or watercress greens for a similar taste. You’ll miss out on the beautiful color, though! The point I’m trying to drive home is if you are looking for a vitamin, antioxidant, and color booster in your meal, radicchio is your go-to guy. Apart from nutrition, radicchio has potent anthelmintic and antiparasitic activity. So, if you are planning to grow a little kitchen garden, you should try planting radicchio to get rid of helminths. Consuming it will inhibit the growth of various parasites in your gut and blood. This time, while shopping for your groceries, get home some fresh, bright, wine-colored radicchio heads with visible midribs. Toss them into a salad or make a dish from the recipes I shared here. We’d love to hear how you liked radicchio and the recipes. Please write to us your comments, feedback, and suggestions in the box below. And to all the greens haters, good luck!